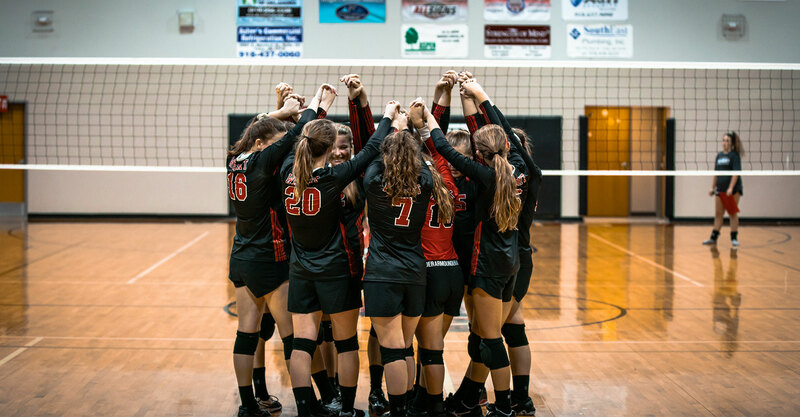 The Wright Christian Academy Volleyball Program is a rapidly growing program at WCA. We strive to develop a true love for the game of volleyball while instilling in the players, the disciplines of hard work and dedication. Participating in athletics not only keeps the student’s active while in school, but it also affords opportunities to learn lessons that can positively shape the decisions they make for the rest of their lives. WCA offers two middle school and two high school volleyball teams. The WCA Volleyball Program competes in the Heartland Christian Athletic Association. The Lady Wildcats have performed exceptionally well in the past several years. Middle school won State in 2014 and high school placed 2nd at State in 2014 and won the State Championship 2015.